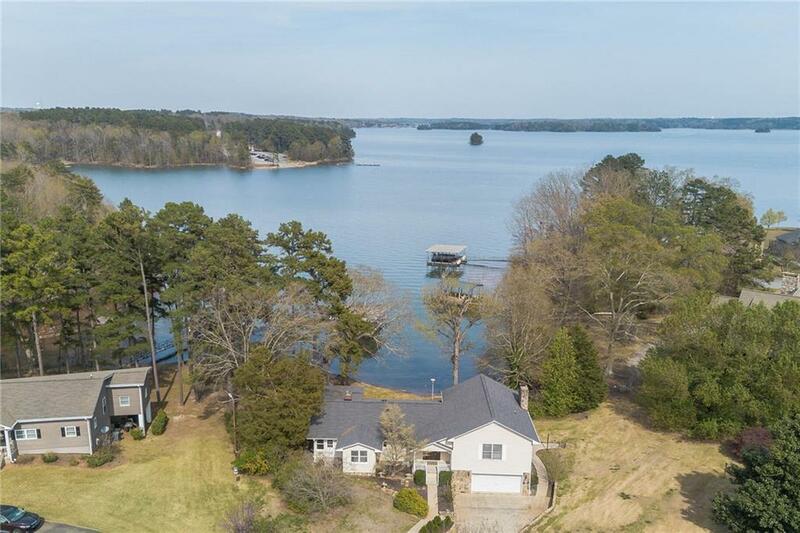 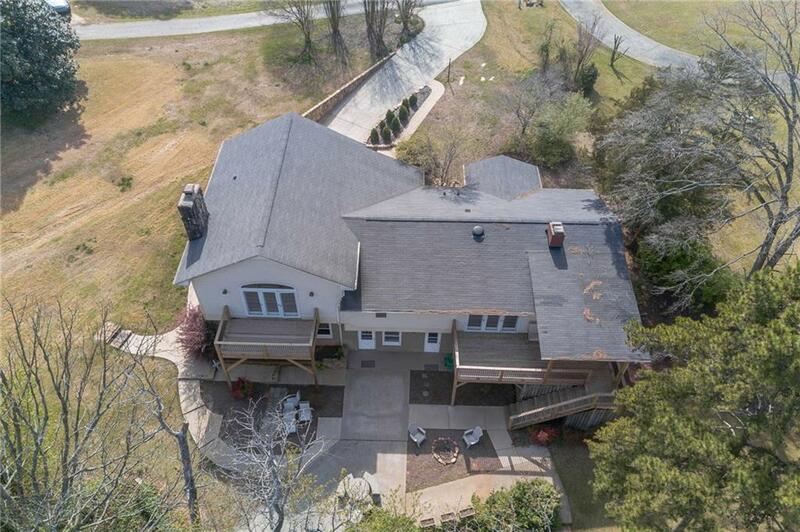 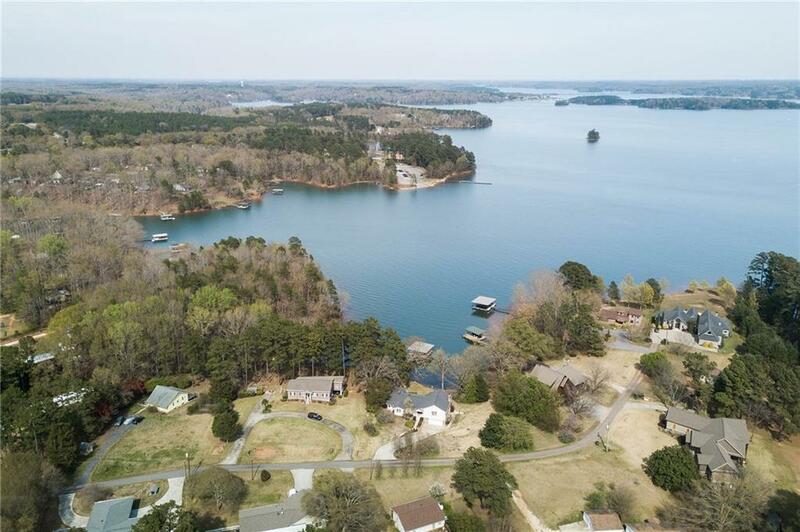 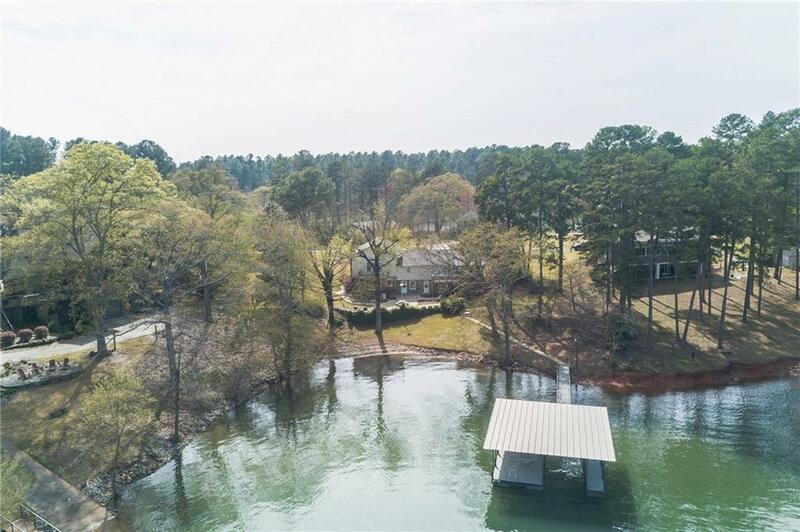 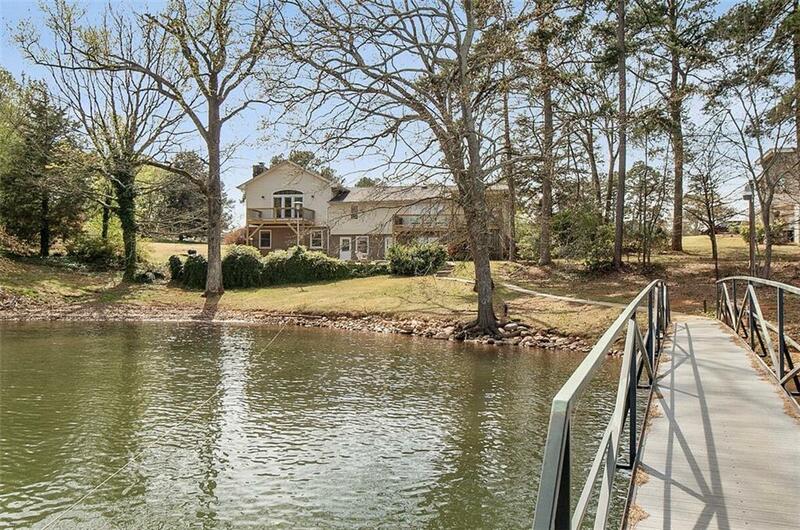 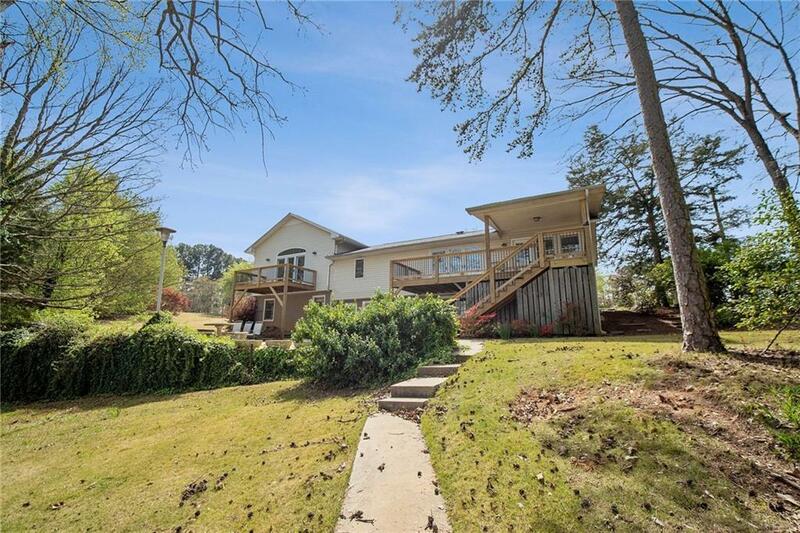 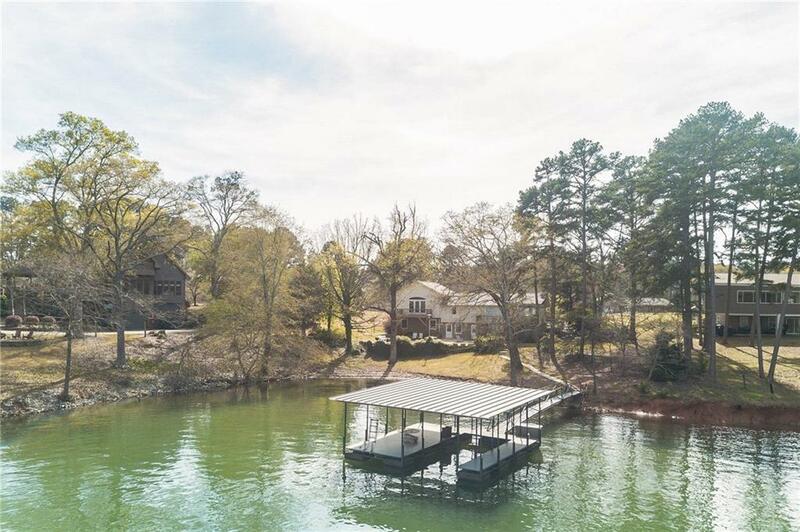 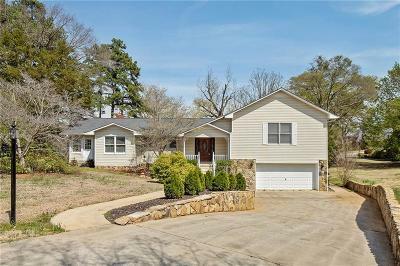 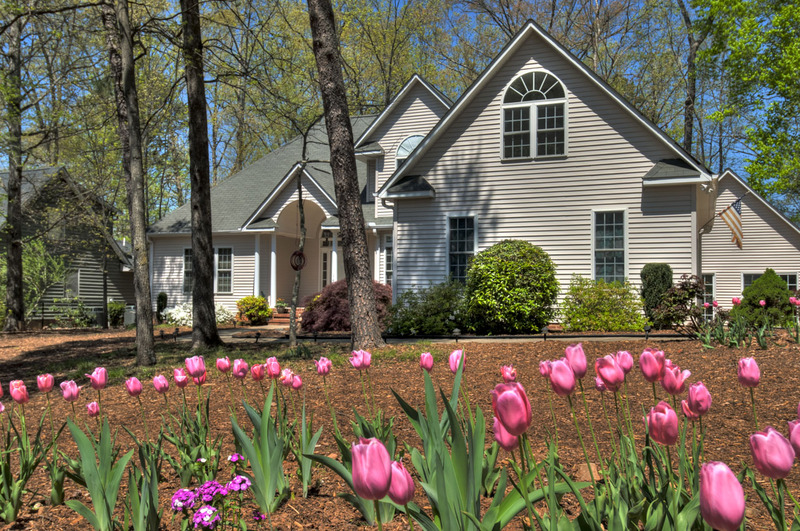 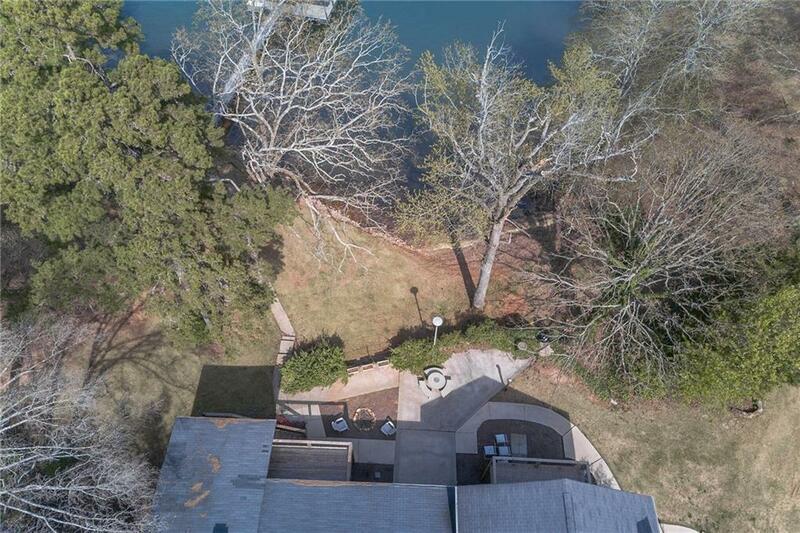 Lake Hartwell waterfront home on one of the most spectacular lots you can find! 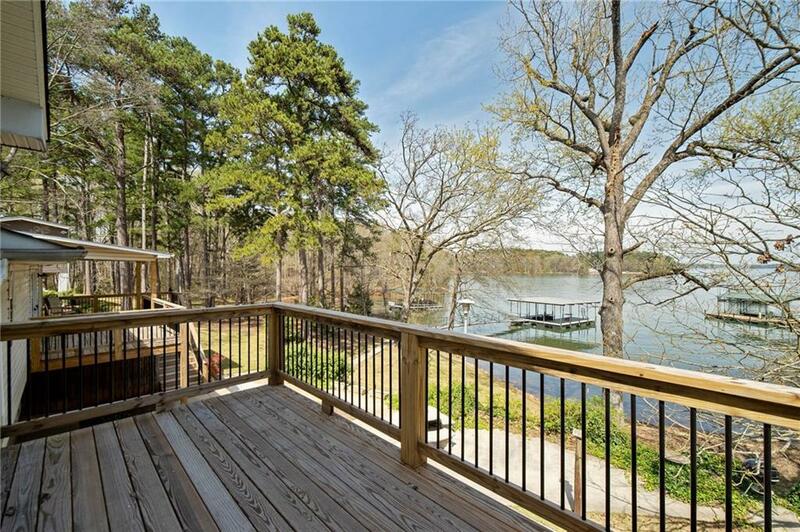 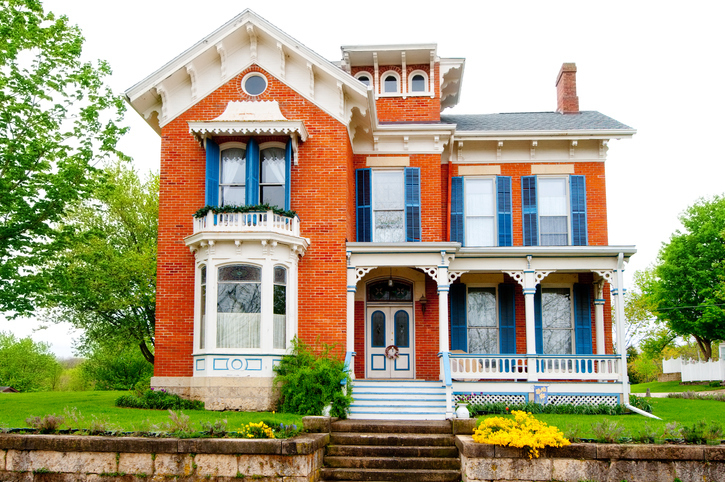 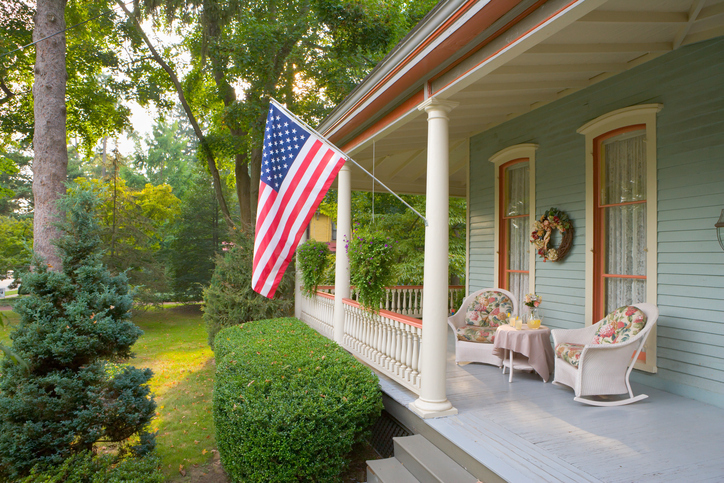 The house is just steps away from the lake and has beautiful views of sailboat waters all year long. 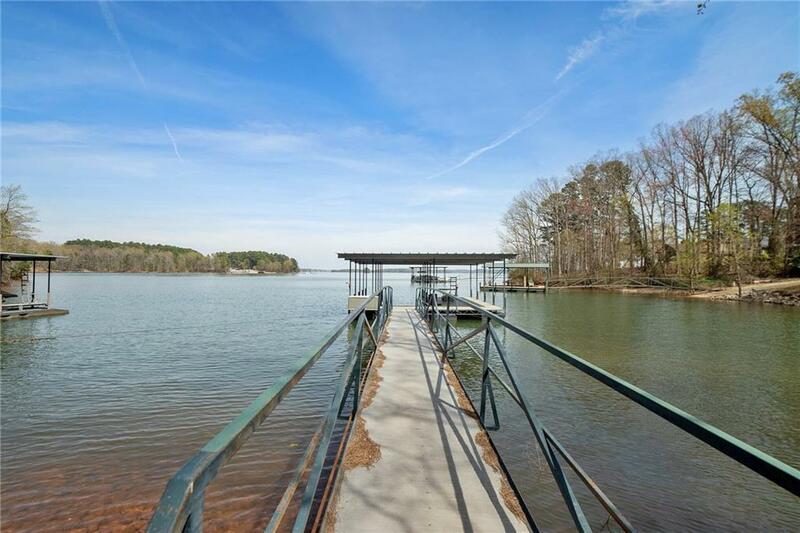 The walk to the water is nearly level, and a concrete path leads directly to the 26'x28' covered slip dock with a 60' gangwalk. 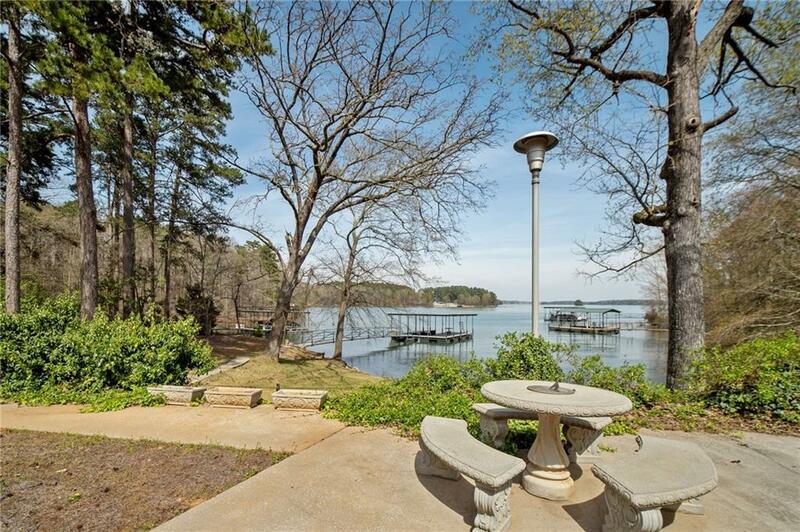 When the lake level drops, a natural sandy beach is visible along the shoreline. 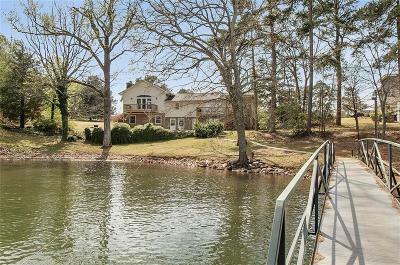 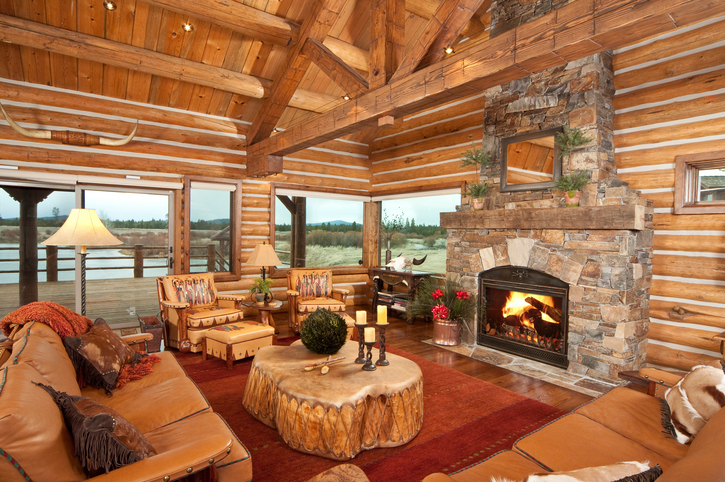 Inside the house, lake views can be enjoyed from almost every room. 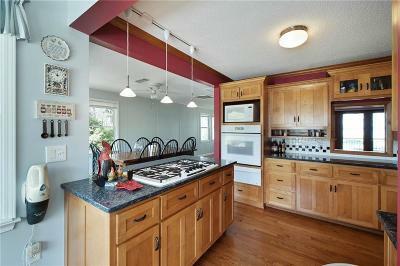 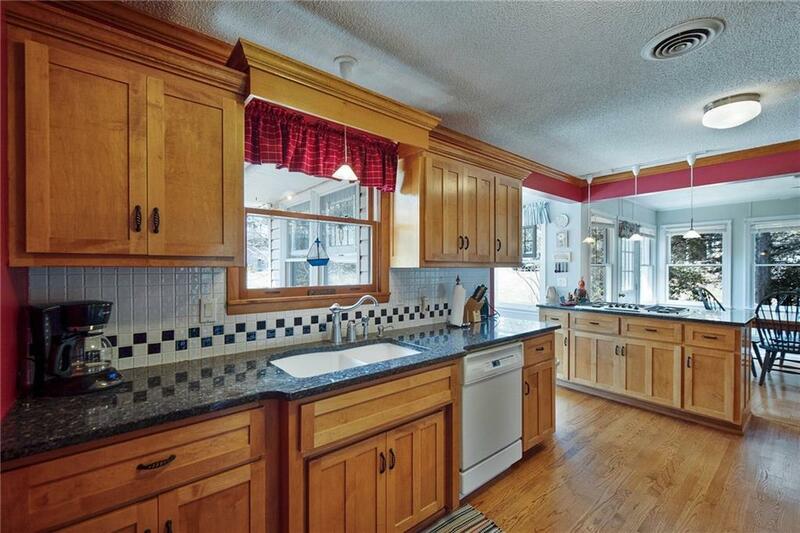 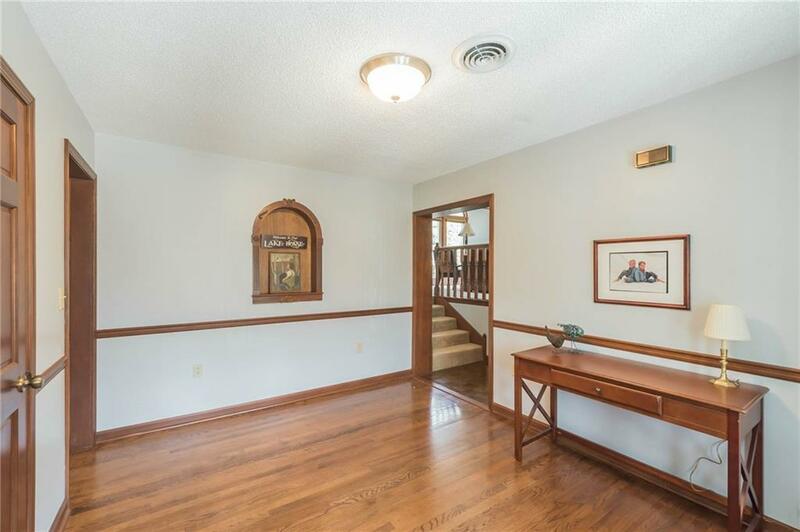 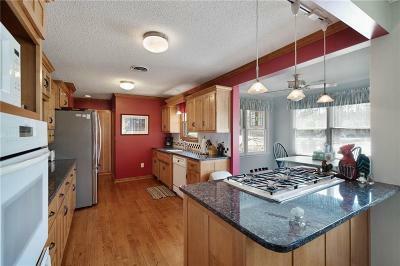 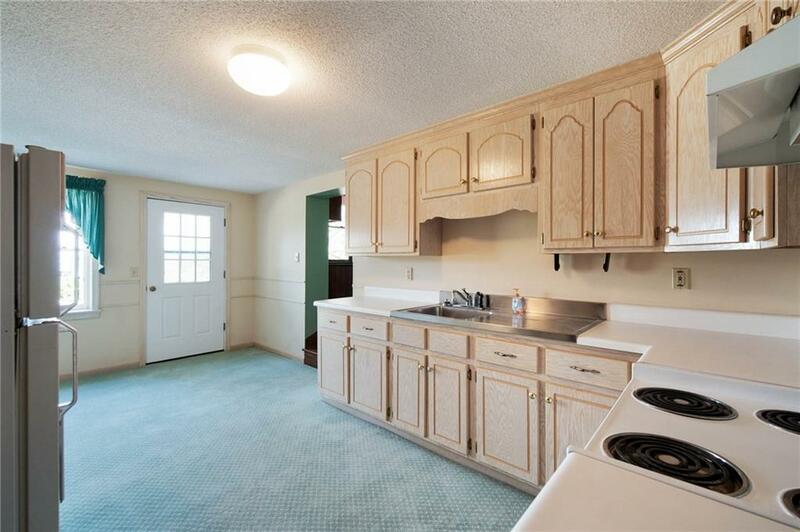 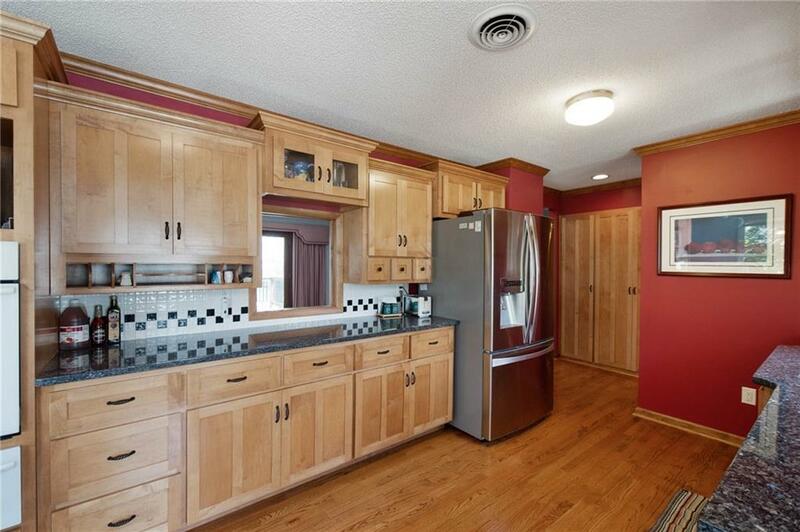 Hardwood floors run from the large foyer into the kitchen, sun room, and smaller living/dining space. The kitchen features custom Mission style cabinetry, granite countertops, Thermidor downdraft gas cooktop, wall oven, & warming drawer, as well as a bright breakfast nook. 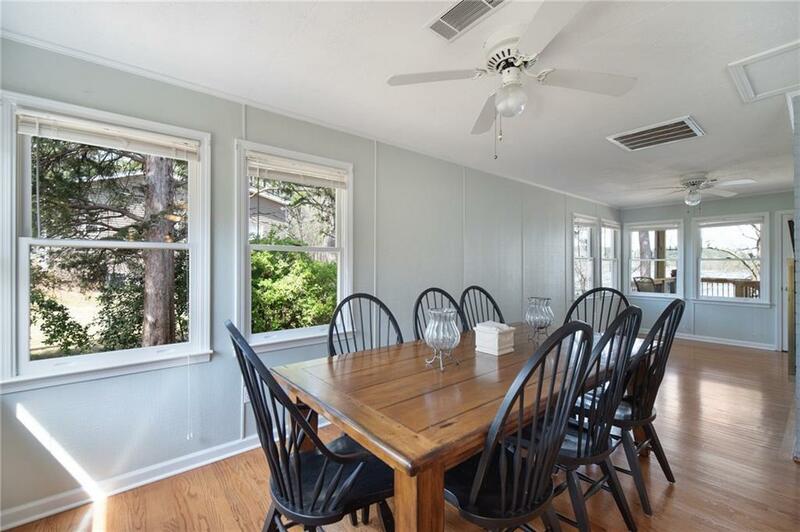 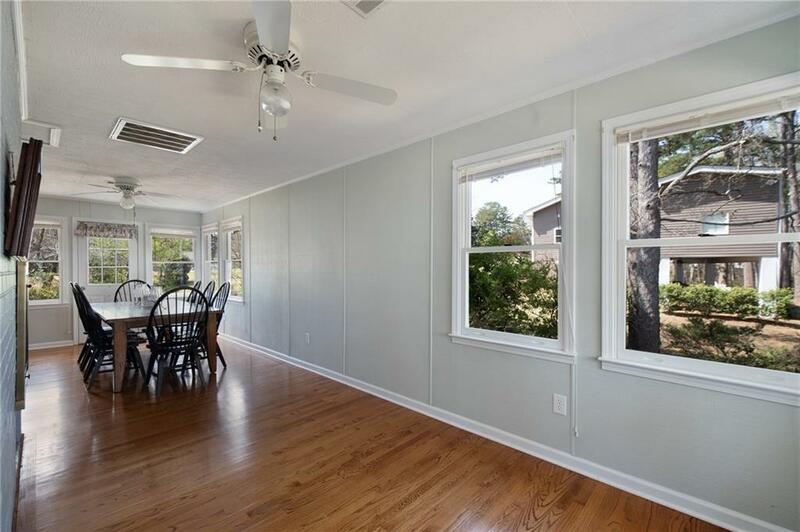 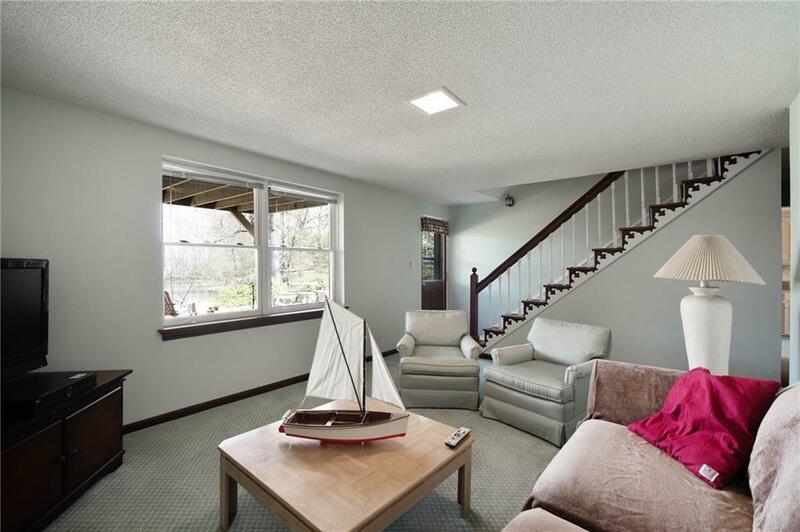 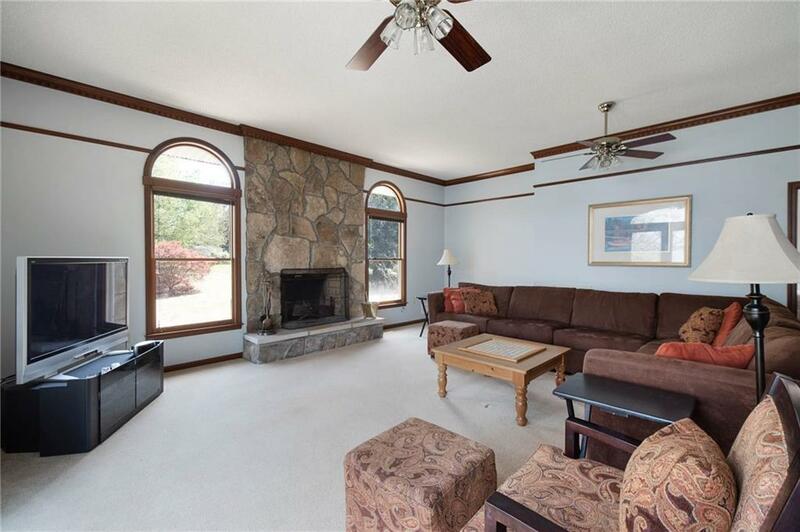 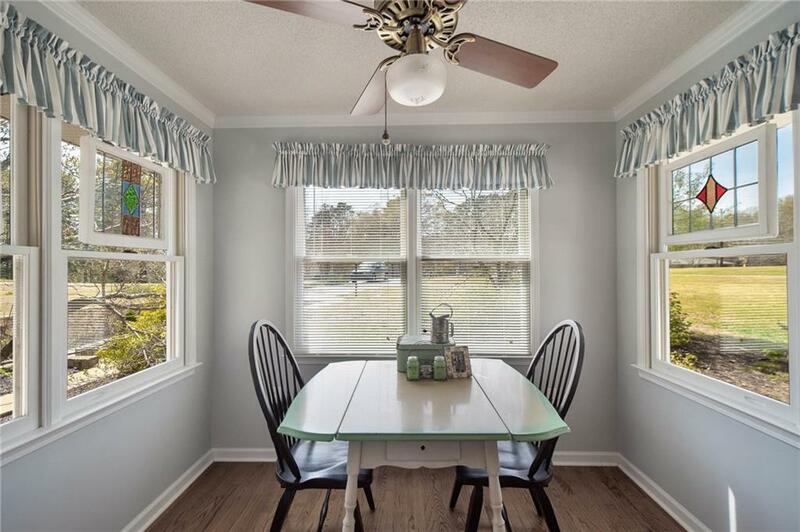 Just beyond the kitchen is a long sun room, which is current used as a dining room but would make a great additional living area or play room. 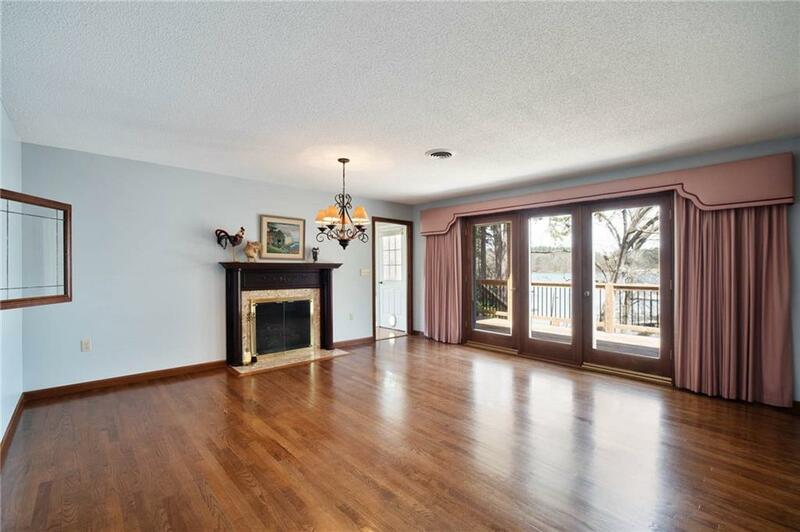 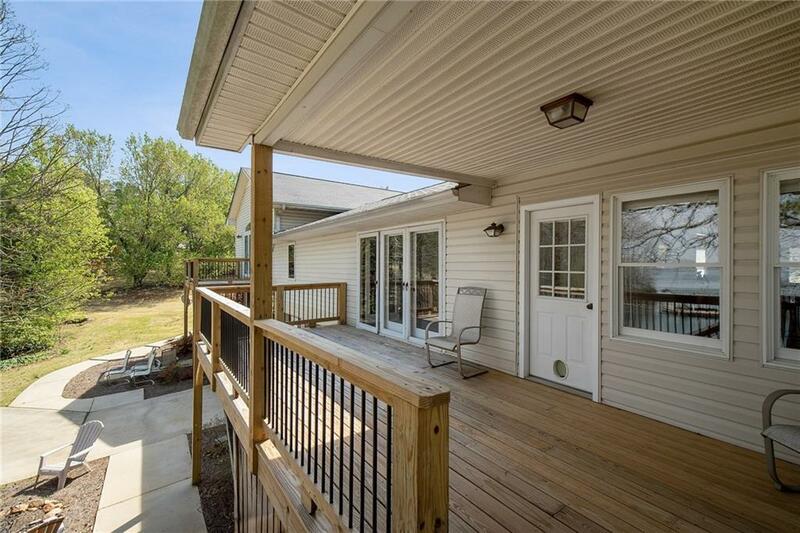 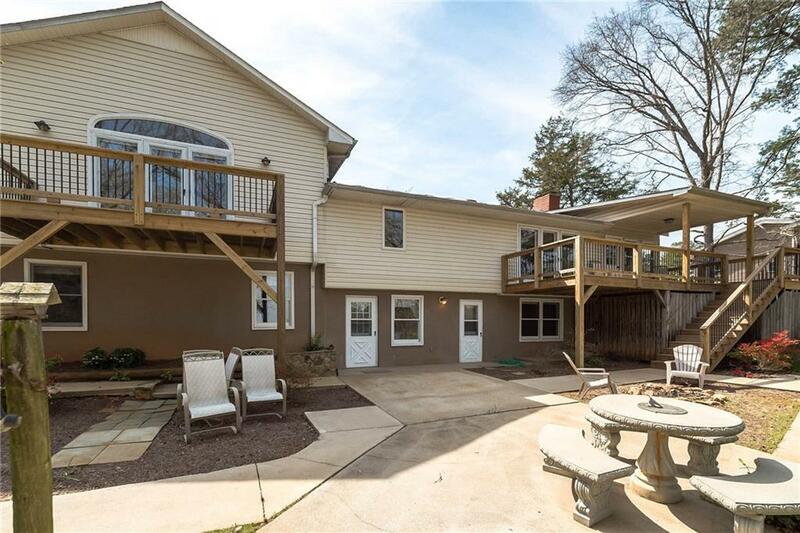 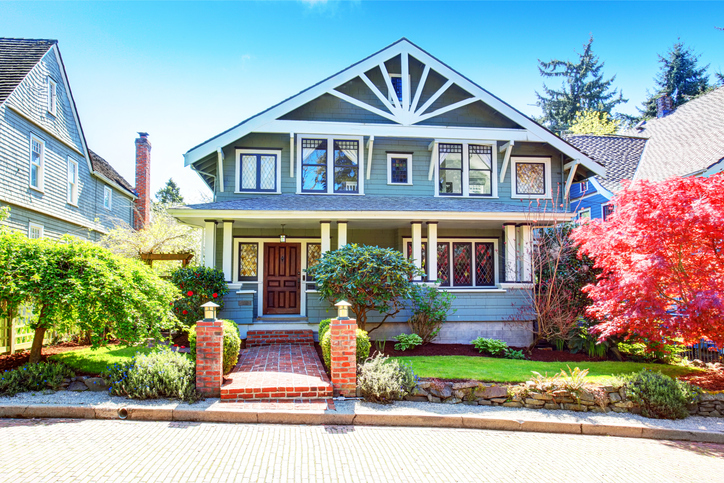 A large living area with access to the deck adjoins the foyer and sun room. 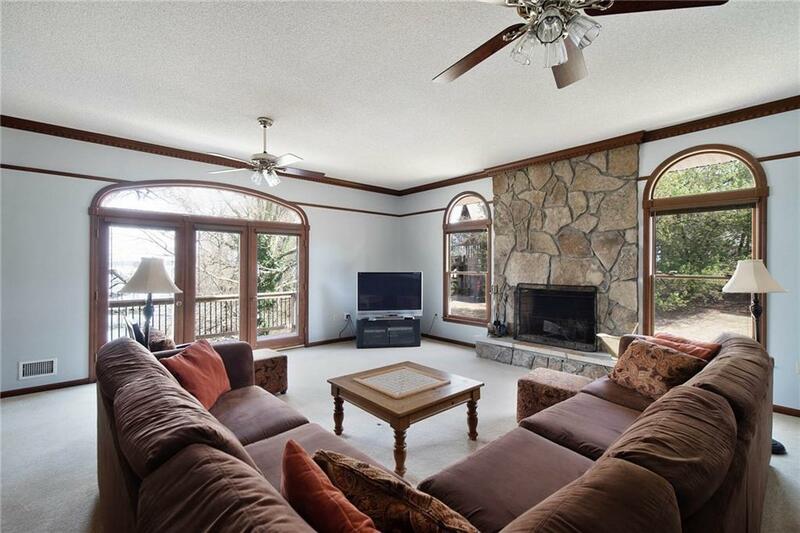 Just a few steps away, you'll find the great room, which has a stone wood burning fireplace, access to a second deck, as well as a wet bar. 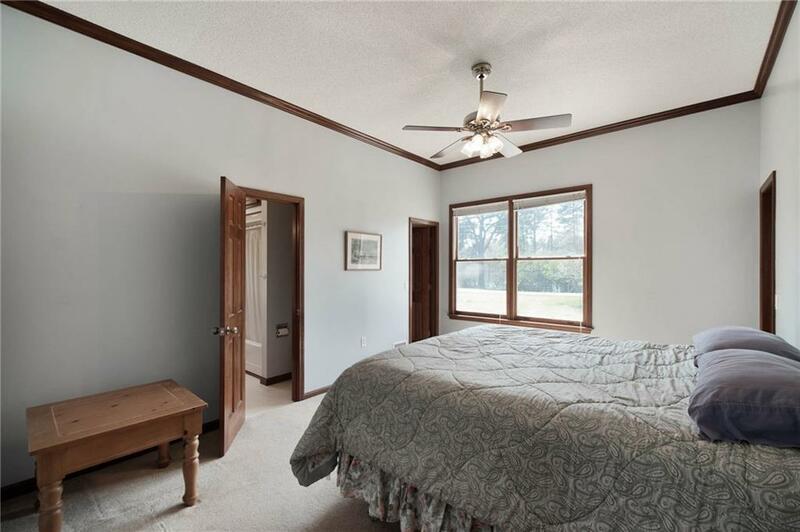 The master suite includes a private adjoining bathroom with double sinks, a large walk-in closet, as well as a smaller closet. 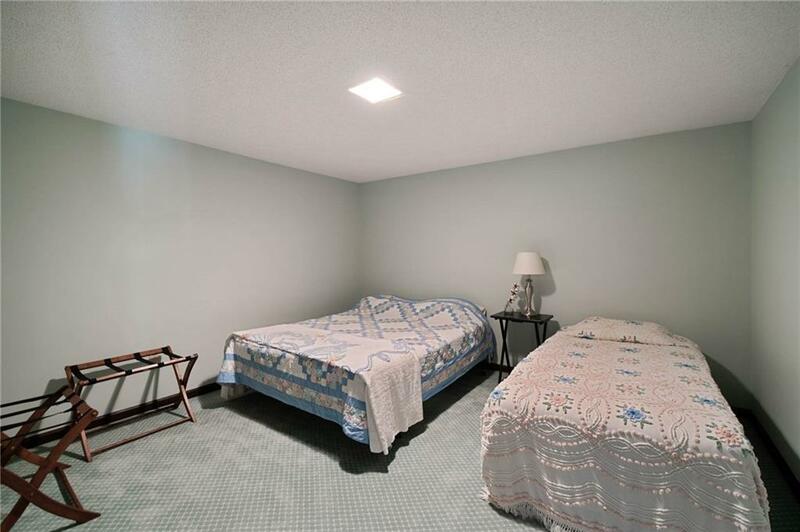 The finished basement could function as an in-law or student suite, with its own entrance, kitchen, bathroom, and living area. 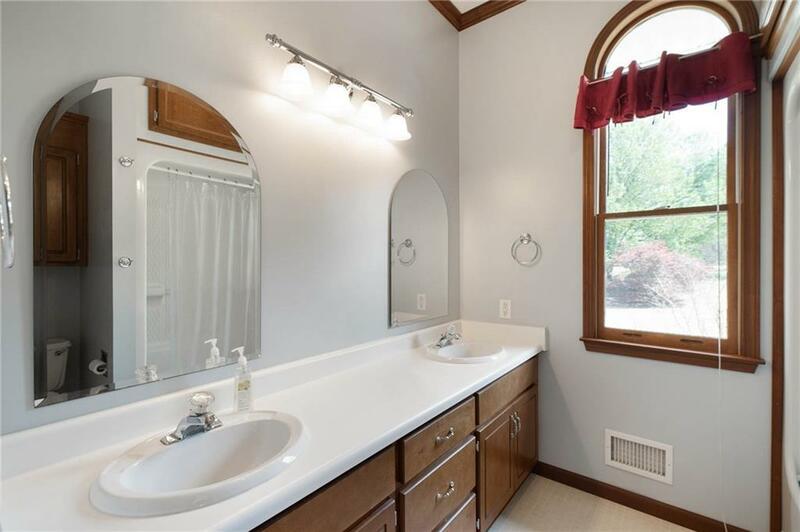 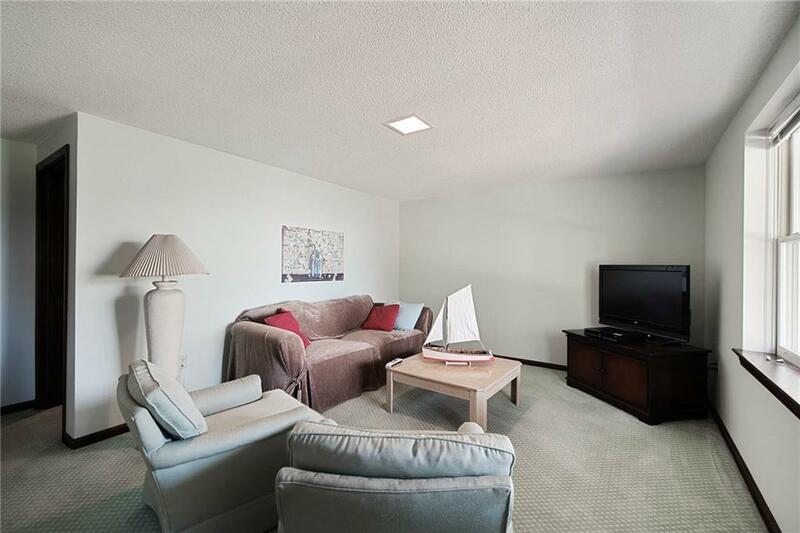 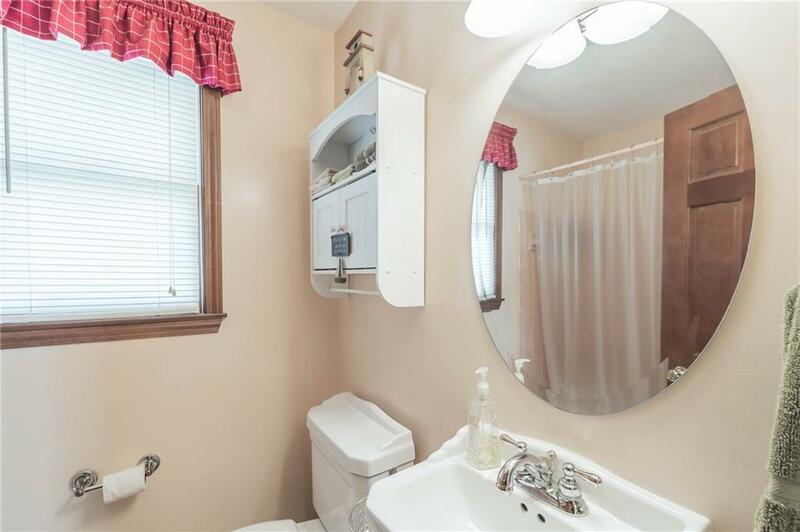 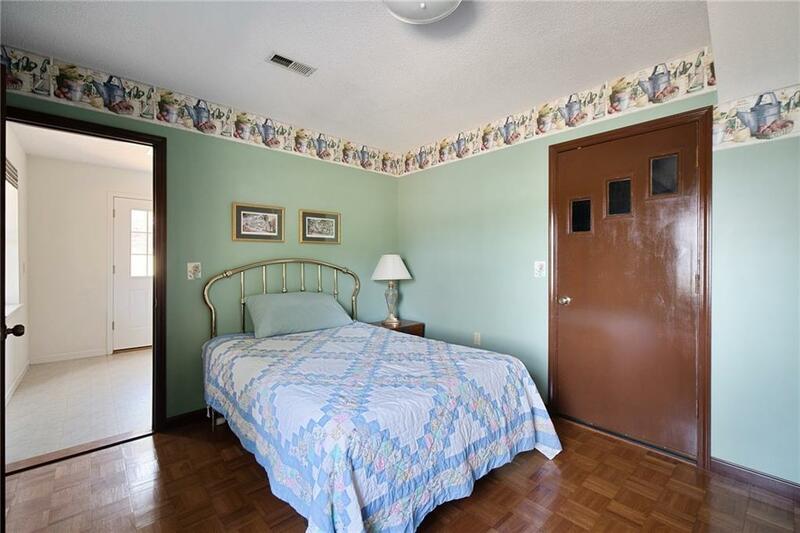 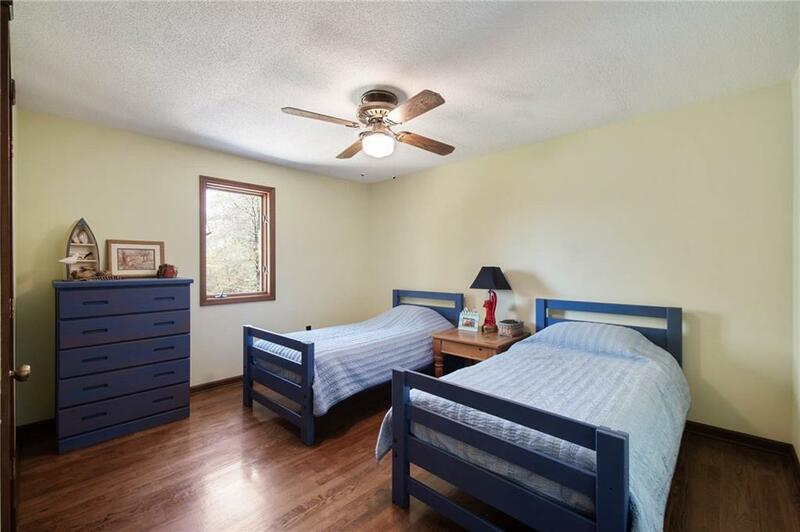 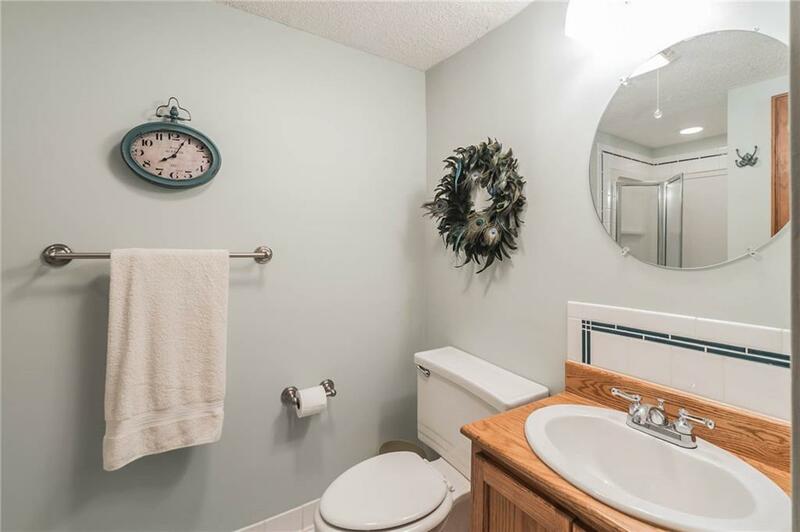 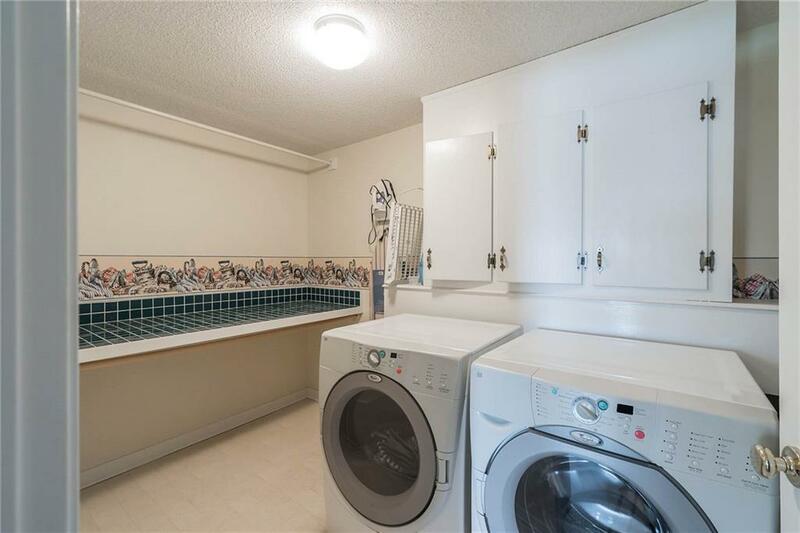 Also located on the lower level is an additional room without a window that could be used as a bedroom or office, a huge walk-in laundry room, and the attached 2 car garage.